Understanding the genome of bats could help scientists better understand their adaptations and behaviours, and how that can influence conservation efforts across the UK. 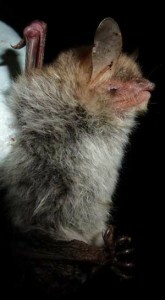 Your vote is needed to ensure the DNA of bat species gets decoded next, by the world leading genomics researchers at the Wellcome Sanger Institute. In celebration of its 25th Anniversary, the Institute are going to fully decode the DNA of 25 UK species that have never been decoded before… and your votes will decide five of them! From 6th November to 8th December, over 40 species represented by scientists and wildlife experts will be online at 25genomes.imascientist.org.uk. Species are being championed in 5 zones, with just one winner in each: Cryptic, Dangerous, Floundering, Flourishing, and Iconic. 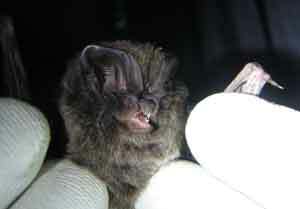 The good news is the two bat species are in different zones – the Daubenton’s bat is in the ‘dangerous’ zone (NOT our choice!) and the barbastelle is in the ‘floundering’ zone – so you can vote for both of them In each zone, the species with the most votes at the end of five weeks will be fully unravelled by scientists at the Wellcome Sanger Institute. Have your say, visit: 25genomes.imascientist.org.uk and please vote. This entry was posted in Uncategorized and tagged 25 genome project, barbastelle, Daubenton's. Bookmark the permalink.